Join Greg Amundson and worship leader Jonathan Stowers at the 2nd Faith Works Ministry in Santa Cruz, CA. This YouTube video recording contains the complete ministry and prayer circle, filmed at CrossFit Amundson, in Santa Cruz, CA. 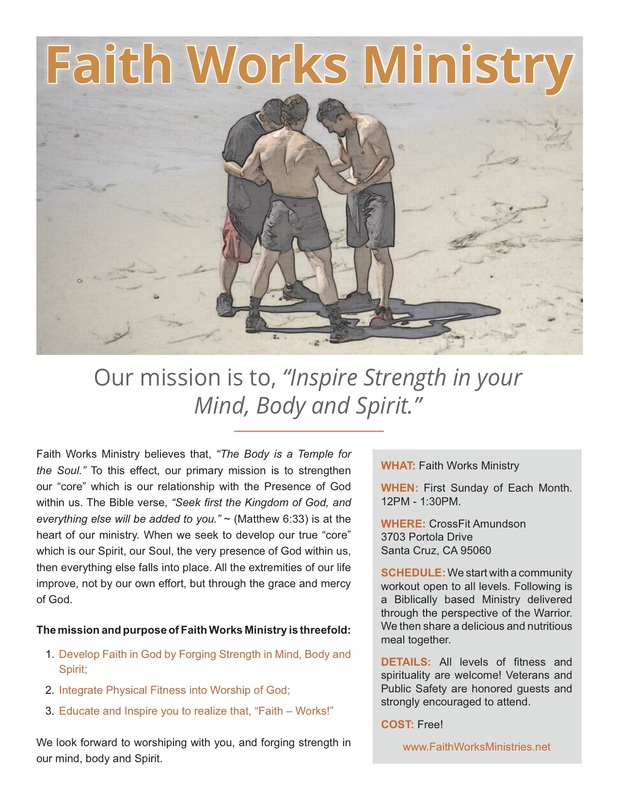 Our first Faith Works Ministry, located at CrossFit Amundson in Santa Cruz, CA., was an absolute success. The combination of exercise (the crew did a version of the famous CrossFit workout “Cindy” which consisted of Pull-ups, Push-ups and Squats) a ministry, and a shared meal, was the perfect recipe for amazing fellowship, and a unique way to understand the Word of God. The message, provided by Faith Works Ministry founder Greg Amundson, focused on the life of David, and his heroic battle against Goliath. Greg explained how the combination of David’s unwavering faith in God, combined with his tactics employed against Goliath, are the perfect example of how “Faith and Works” when combined, can result in extraordinary success, happiness, and the overcoming of challenge. Special thanks to the amazing Jonathan Stowers for leading the group in worship at the start of our ministry. If you are a CrossFit Affiliate gym interested in creating a Faith Works Ministry Affiliate at your gym, please email Greg Amundson at Greg@GregoryAmundson.com. Faith Works Ministry Headquarters in Santa Cruz,CA., is pleased to announce our first gathering on August 6, 2017, from 12PM to 1:30PM. This monumental event will be recorded and available on iTunes and YouTube. Please see the attached flyer for full details or email Greg@GregoryAmundson.com for more information or to get involved. 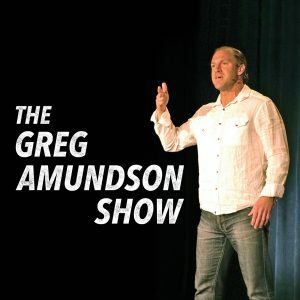 In this Special Edition to “The Greg Amundson Show”, Greg shares the incredible story of “The Innocent Prisoner” and revisits a traditionally told story of Moses parting the Red Sea with a unique new perspective. This episode focuses on the power of mindset, and asks the listener to seriously contemplate the role they are playing out in their life experience. Greg asks, “Are you the Victim, or the Victor, of your own life?” Greg uncovers the deep meaning behind Christ’s promise that, “Those who hunger and thirst for righteousness will be fulfilled” and explains that “righteousness” means the quality of our thinking. This short and powerful episode can be a “directional change” in your life, launching you into freedom, happiness and purpose. In this special edition of “The Greg Amundson Show”, Greg explains the historical warrior-tradition value of a story. In addition, Greg elaborates on the difference between identifying with our ego, and our spirit, and provides encouragement for those seeking the path of spiritual fulfillment. This episode educates the listener on the manner in which to listen to a story, and tools to understanding the various layers of meaning that each story contains. In Episode Four of “The Greg Amundson Show”, Greg teaches the power of expectation by weaving a profound story from the warrior tradition into a key lesson from the Bible. Greg also introduces one of his great mentors, and shares the incredible meaning behind the quote, “The stronger the why in your life, the stronger your life will be.” You’ll also travel back in time with Greg to a lecture he gave at SealFit on advanced breathing techniques, and a privately recorded rendering of the famous “Tea Master” story. This is an extremely meaningful episode that you’ll want to listen to over and over again. In Episode Three of “The Greg Amundson Show” Greg introduces the implications of abiding by God’s Law, and how living in alignment with the Law of Repetition and the Law of Order results in increased levels of joy, prosperity, health and happiness. Greg weaves together stories from the Bible and Warrior Tradition during the Episode to help you understand and remember key principles. Greg also introduces two of the less known mentors from his life, and shares their profound knowledge and life experiences. For complete show notes, visit GregoryAmundson.com. In this exciting combined YouTube video and Podcast Episode, Greg introduces listeners to the concepts of Life Purpose, Karma and the incredible manner in which “thoughts become things.” Greg shares a remarkable new perspective on one of his favorite warrior tradition stories, and you’ll travel with him to a lecture he presented to the Athletes of SEALFIT in Encinitas, CA. Imagine if the greatest adaptation to a physical discipline was in fact mental? 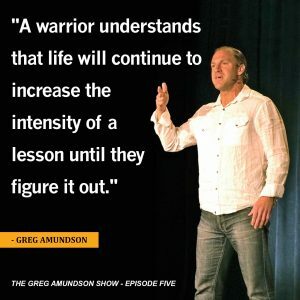 This was the very insight that Coach Glassman, the founder of CrossFit, and Amundson shared together during a CrossFit certification in 2004. In this first full episode of the “Greg Amundson Show” Greg weaves together stories from Glassman, his late father Dr. Raymond Amundson, and the life of Jesus Christ, to provide the basis for the power we hold in our mind. 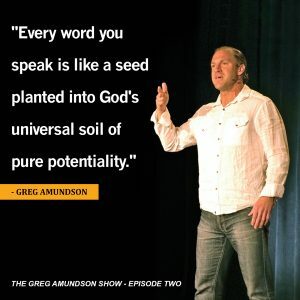 In this seminal episode, Greg also teaches the practice of “First Words” and the use of daily mantra and affirmation. Keeping in mind, with the most humble heart do I consider myself to be a mentor because the majority of the time that I’m not teaching, do you know what I’m doing? I’m spending time with my mentors. So even teachers need teachers. Even mentors need mentors. And on the journey that you and I are all on, we all have an opportunity to be that mentor in the life of someone. In fact, my mom told me once, and I’ll elaborate more on this, it was such a beautiful sad moment in my life. She told me, that everybody can be supported and encourage somebody at the same time. Isn’t that brilliant? So this is an opportunity for me to encourage and support and mentor you, and you will then have an opportunity to do the same for a loved one in your life as well. On this special introduction of The Greg Amundson Show, Greg shares why he is starting his own podcast, who inspired him and whats to come on Season One: “The Power In Your Mind” of The Greg Amundson Show.